A Texas plumber has dealt with death threats and abusive phone calls after the Ford truck he sold to a local dealership showed up in the hands of jihadists in Syria ‒ with his company sign intact. Now he is suing for at least $1 million in damages. Mark Oberholtzer, who runs Mark-1 Plumbing in Galveston, Texas, says that Autonation Ford Gulf Freeway, a dealership in Houston, resold his 2005 Ford F-250 pick-up without removing the decal with his company’s name and phone number. After the truck ended up in the hands of a Syrian rebel group, a photo of it showed up on Twitter and was featured on the final episode of Comedy Central’s ‘Colbert Report’. By the end of that day, “Mark-1's office, Mark-1's business phone, and Mark's personal cell phone had received over 1,000 phone calls from around the nation,” ranging from degrading to expletive-laced death threats, according to the lawsuit filed in Harris County by Oberholtzer’s attorneys. Up to 200 calls per day continued to come in over the next three weeks, and the plumber still gets calls to this day, especially after Islamic State (IS, formerly ISIS/ISIL) commits an atrocity somewhere, the lawsuit said. According to Carfax vehicle history reports, attached to the lawsuit as evidence, the truck was sold at an auction on November 11, 2013. It was exported from Houston and ended up in Mersin, a port in southeastern Turkey. 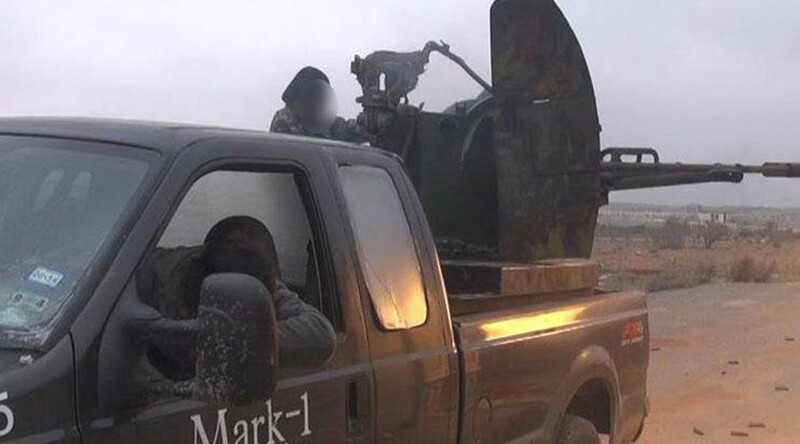 On December 15, 2014, a photo of the truck posted on Twitter showed it being used as a weapons platform by a jihadist group in Syria – with the “Mark-1 Plumbing” sign still there. The image was tweeted by one Caleb Weiss, who said the F-250 was operated by Chechen fighters in the “Jaish al Muhajireen wal Ansar,” one of the rebel groups fighting against the Syrian government. In November 2013, some of the group’s members had sworn allegiance to IS. Others stayed with the Jabhat Ansar al-Din until September 2015, when they joined the Al-Qaeda affiliate Jabhat Al-Nusra. Alerted to this by others on Twitter, Weiss clarified that he is a college student at the University of Illinois in Champaign, and a writer for the Long War Journal. He writes about jihadists in the Middle East, but he is most definitely not one of them, he said. Intimidated by the abuse, Oberholtzer’s secretary refused to come in to work. The plumber shut down his business for a week and took his family out of town, but still had to deal with the unwanted attention by the government and the media, receiving visits from the Department of Homeland Security and the FBI. Oberholtzer’s case is a curious instance of a Ford ending up in terrorist hands. 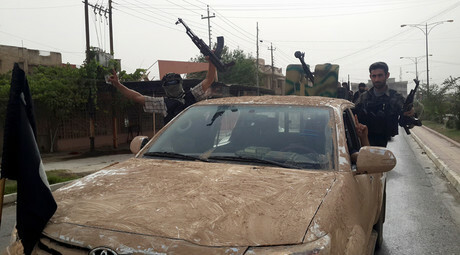 Most of the vehicles converted to weapons platforms by Islamic State and other jihadist groups in Syria and Iraq have been Toyotas, notably the rugged Hilux. In October, Toyota announced it was cooperating with the US Treasury Department probe into terrorist financing and supply chains, adding it had no idea how IS acquired so many of its trucks.